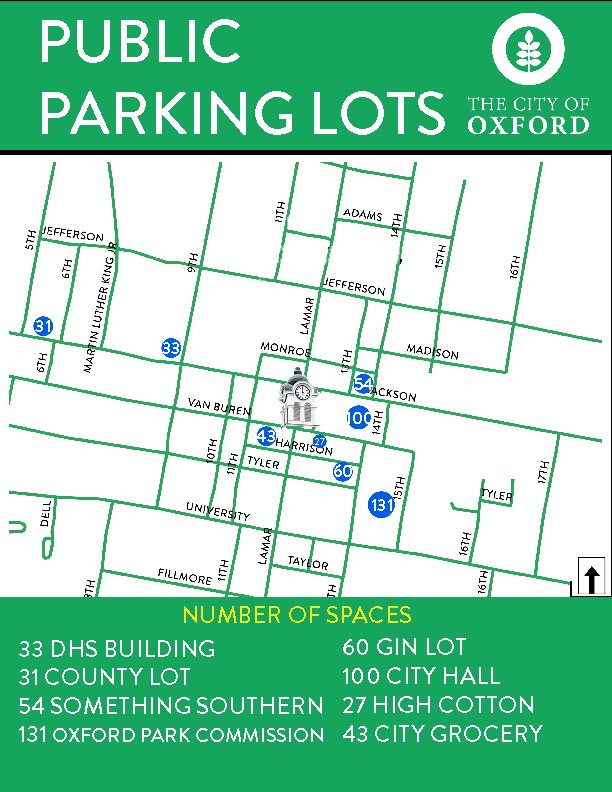 Since 2011, the City of Oxford and the Downtown Parking Advisory Commission have worked diligently to provide more public parking in the downtown area. 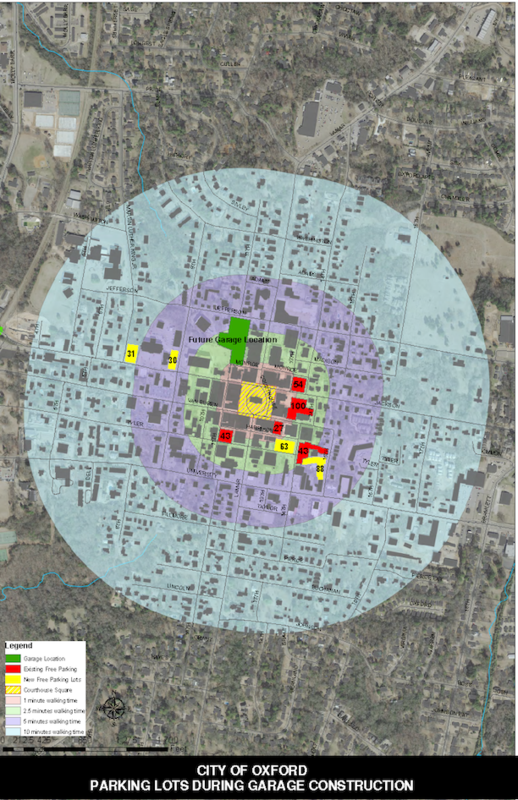 The city has seen a need for more parking around the downtown area due to abundant growth occurring both in the City of Oxford and at the University of Mississippi. Through this campaign, the idea of building a new parking facility has now become a reality. 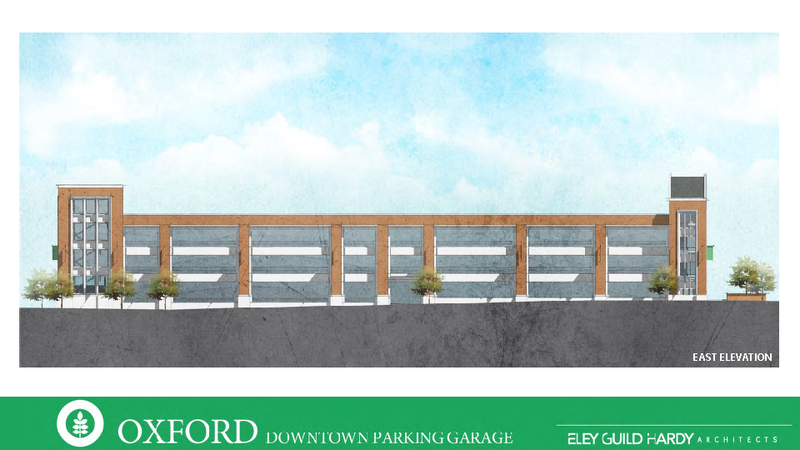 This new parking garage creates more opportunities for businesses and visitors alike. After completion, the square will have approximately 1200 public parking spaces with a multitude of parking options. 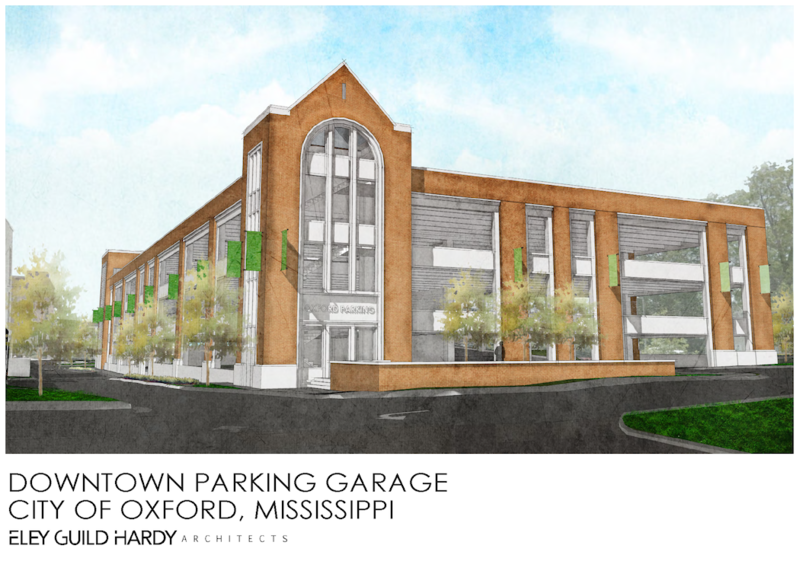 The parking garage will become a major asset for downtown Oxford once completed. 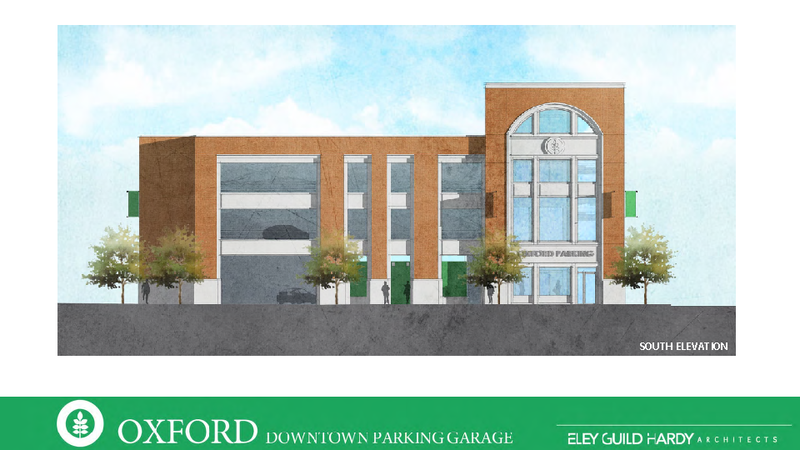 The garage will be located on the Oxford Square North parking lot that is situated directly Northwest of the Square between Jefferson and Monroe Avenues. The physical appearance of the garage will resemble that of the other historic buildings and structures around the beautiful Oxford square. The total square footage of the garage will be 141,800 sf. The garage will have 4 levels that will house 399 parking spaces. 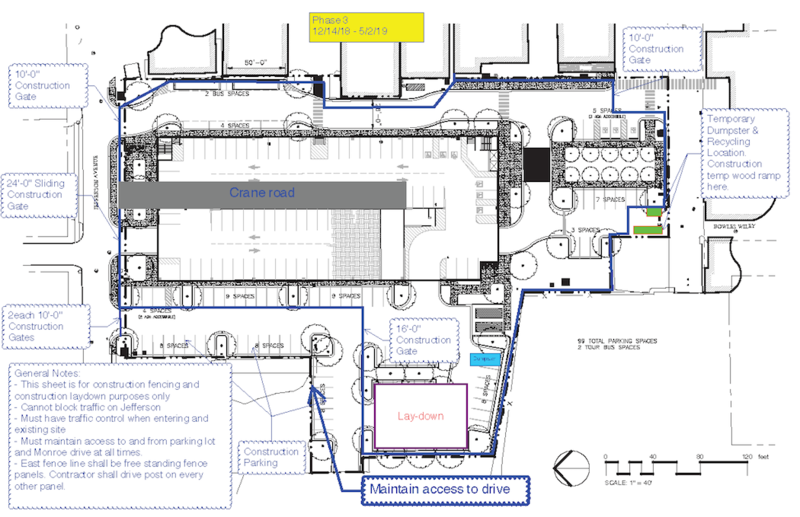 The garage will have elevators and stairs for those patrons wishing to use the upper levels and there will also be visitor restrooms that are accessible from the outside of the building. 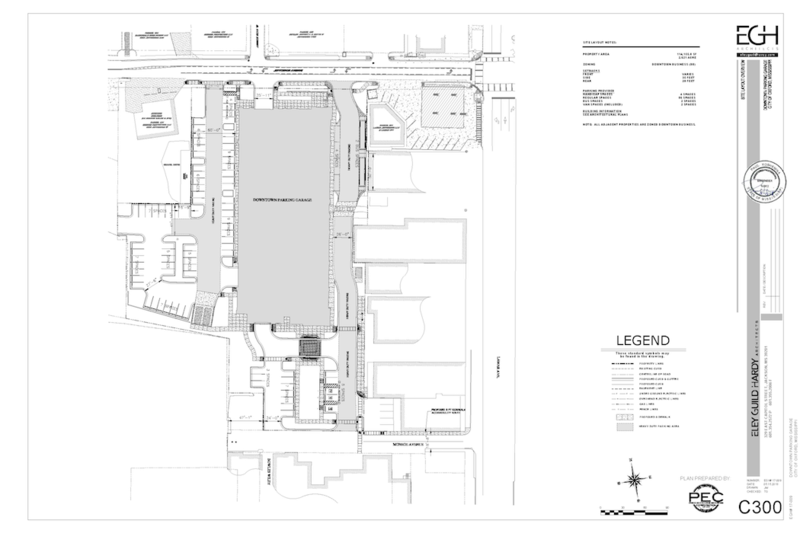 The lot surrounding the garage will consist of 86 regular spaces, 4 handicap spaces, and 2 large charter bus spaces. 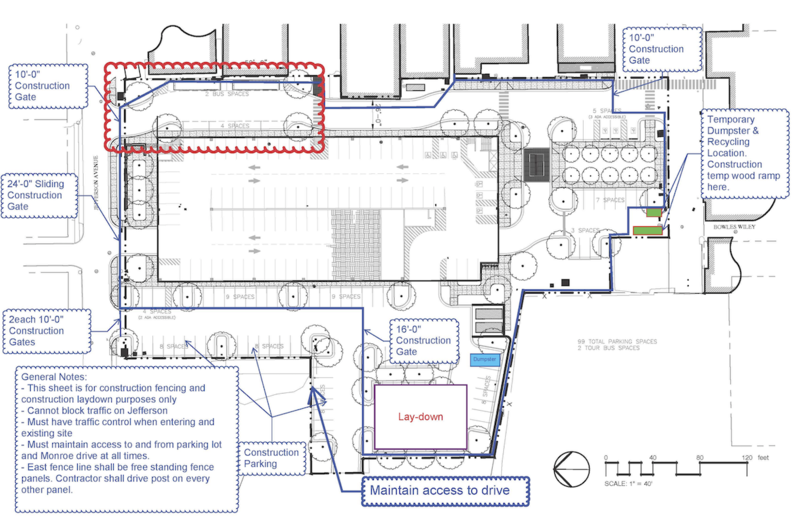 During the construction of the garage, there will be displaced parking from the proposed construction location. These current spaces will be moved to other local parking lots around the square where the public will still be able to visit and enjoy the square. 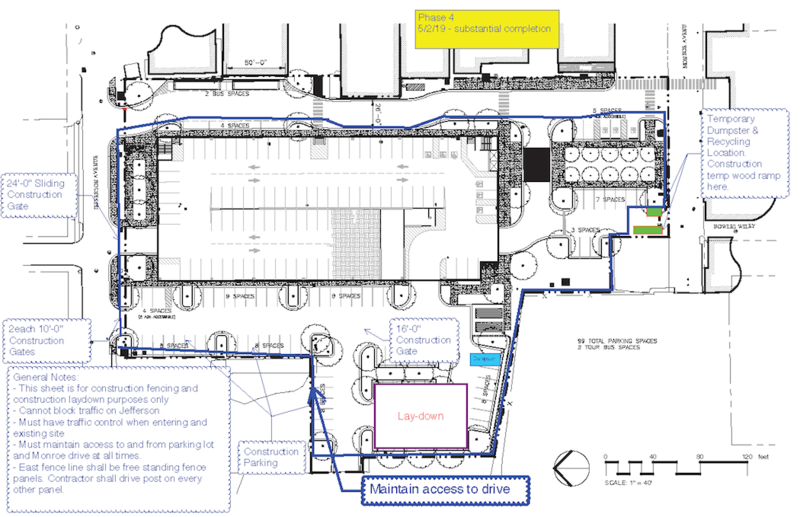 Please see the following map to locate the open lots during construction of the garage. 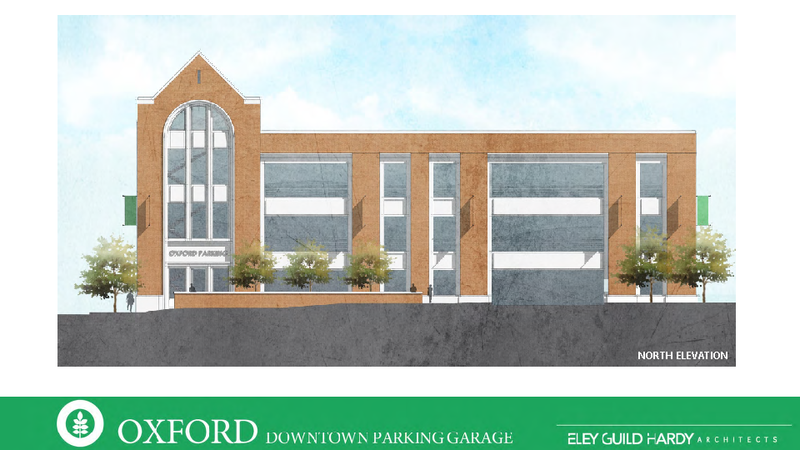 There will also be some construction phasing that will occur in the construction area that will limit access to the Oxford Square North parking lot during certain times of the project. 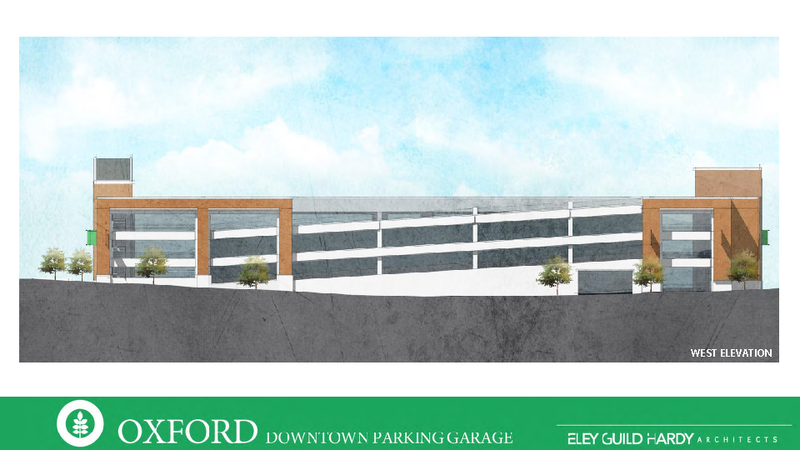 Each month, the city will post updates on the construction of the garage. These updates can be found on the city’s website and other forms of social media.